Hardstanding pitch with grass to the side, suitable for motorhomes, campervans and small tents (parking on the hardstanding), sorry NOT SUITABLE FOR CARAVANS. Dale Farm is right in the heart of the Peak District, less than a mile from Monsal Head, the Monsal Trail and a few miles from Bakewell and Chatsworth House. Large grass pitch with all weather reinforcement, suitable for motorhomes, campervans and tents, sorry NOT SUITABLE FOR CARAVANS. Dale Farm is right in the heart of the Peak District, less than a mile from Monsal Head, the Monsal Trail and a few miles from Bakewell and Chatsworth House. Large non-electric grass pitch (some have all weather reinforcement), suitable for campervans and tents only, no motorhomes. Dale Farm is right in the heart of the Peak District, less than a mile from Monsal Head, the Monsal Trail and a few miles from Bakewell and Chatsworth House. Large electric grass pitch (some have all weather reinforcement), suitable for campervans and tents only, no motorhomes. 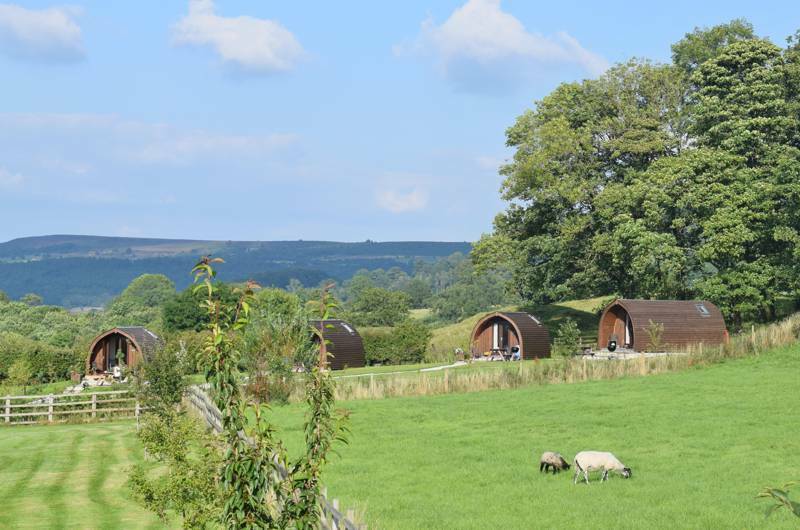 Dale Farm is right in the heart of the Peak District, less than a mile from Monsal Head, the Monsal Trail and a few miles from Bakewell and Chatsworth House. 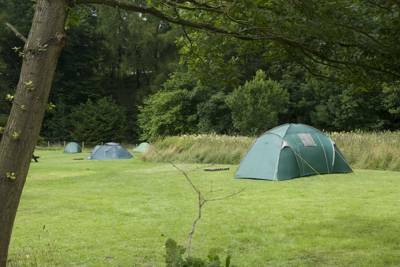 Medium tent non-electric grass pitch, suitable for medium tents only, no vehicle access onto the pitch. Parking 10-20m away. 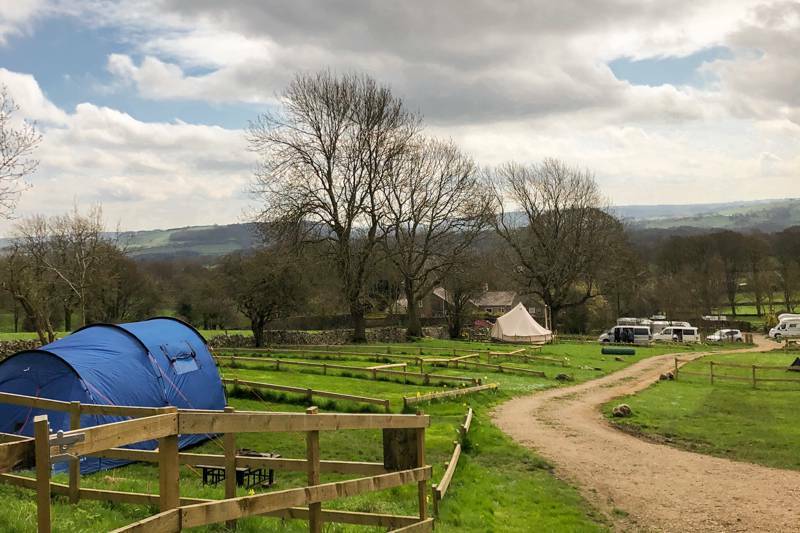 Dale Farm is right in the heart of the Peak District, less than a mile from Monsal Head, the Monsal Trail and a few miles from Bakewell and Chatsworth House. Large tent non-electric grass pitch, suitable for tents only (no vehicle access onto the pitch - parking is on the end of the pitch). Dale Farm is right in the heart of the Peak District, less than a mile from Monsal Head, the Monsal Trail and a few miles from Bakewell and Chatsworth House. Adult only small tent pitches in our secluded glamping field, suitable for small tents only, There is no vehicle access onto the pitch (parking 10-30m away). 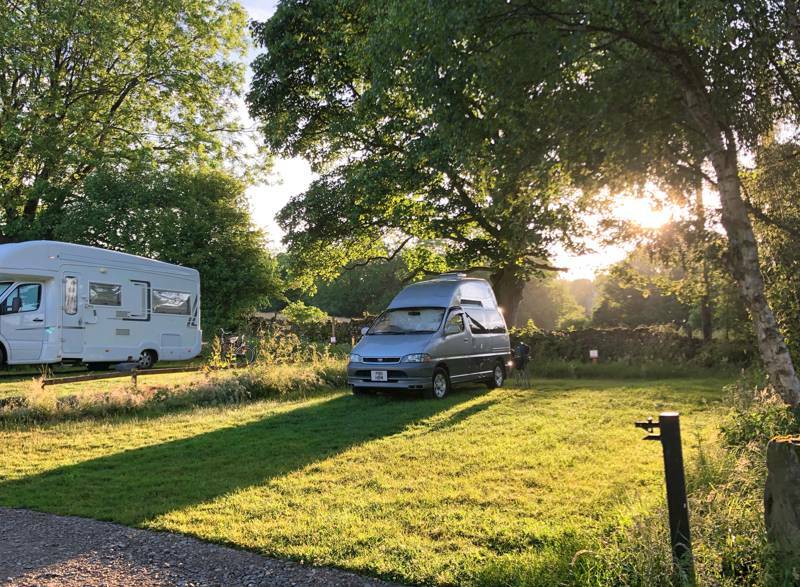 Dale Farm is right in the heart of the Peak District, less than a mile from Monsal Head, the Monsal Trail and a few miles from Bakewell and Chatsworth House. Sleep in style in our luxury bell tent. Comes complete with king-sized bed, electricity and multi-fuel stove to keep you cosy at night. 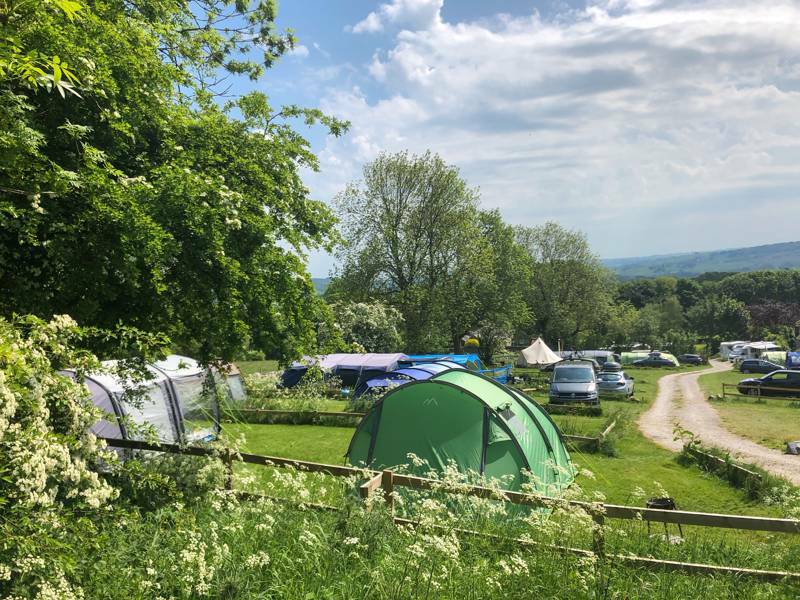 Dale Farm is right in the heart of the Peak District, less than a mile from Monsal Head, the Monsal Trail and a few miles from Bakewell and Chatsworth House. Sleep in style in our luxury bell tent. Comes complete with king-sized bed and a multi-fuel stove to keep you cosy at night. Dale Farm is right in the heart of the Peak District, less than a mile from Monsal Head, the Monsal Trail and a few miles from Bakewell and Chatsworth House. 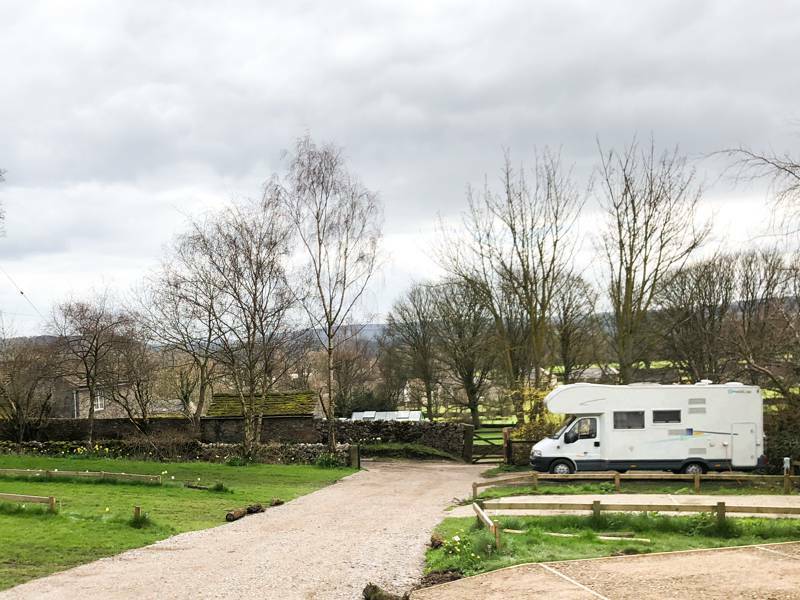 Every Peak District campsite likes to describe itself as in ‘the heart of the national park’ but few have a location to match quite like Dale Farm. On a map, this rural campsite is generally found somewhere beneath the ‘I’ and the ‘S’ of the words ‘Peak District’, printed in big brown letters across the page. The location is about as central as you can claim to be in an irregular, croissant-shaped national park. In short, it is superb. It’s five miles to Chatsworth House, the most stately of the stately homes in the region (with the equally lovely Haddon Hall also five miles away); historic Eyam village is four miles; Bakewell, of tart fame, is three miles; Headston Viaduct is one mile and the Derbyshire Dales National Nature Reserve is closer still. By the time your holiday ends, any car journey longer than 15 minutes will feel like an epic voyage. 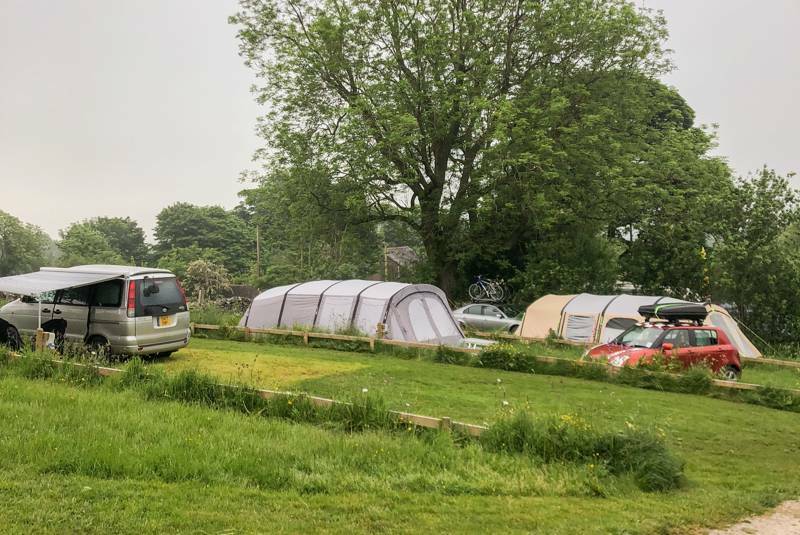 Set on a working farm in the Derbyshire village of Great Longstone, what’s perhaps most pleasing about Dale Farm Rural Campsite is that, despite its in-demand location, the place retains a small, peaceful atmosphere, with a pleasingly homespun feel. 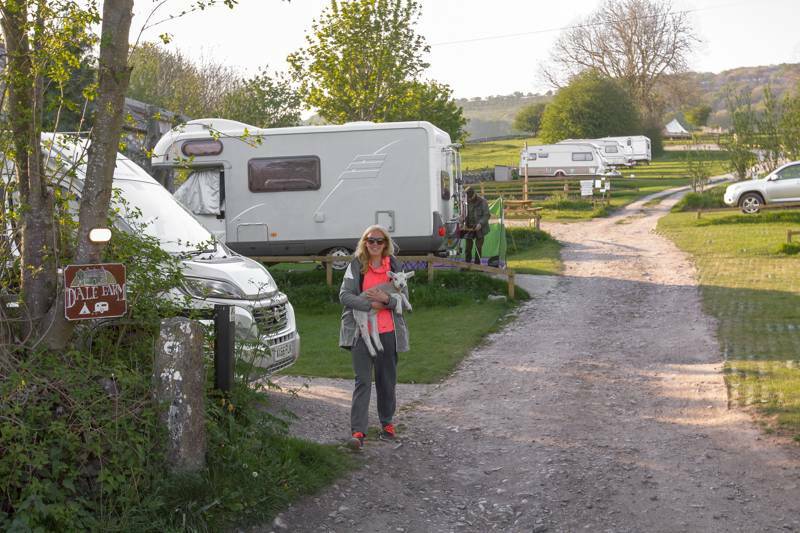 There are just 30 pitches in total, spread across even tiers that have been landscaped into the hillside, and a homemade signpost points campers in the relevant directions – hillside pitches, pot washing, washrooms, farm shop. Campfires are allowed, though strictly raised off the grass, and there’s an honesty box at the farm shop, so you can still buy the farm’s own burgers when one of the small family team is not around. 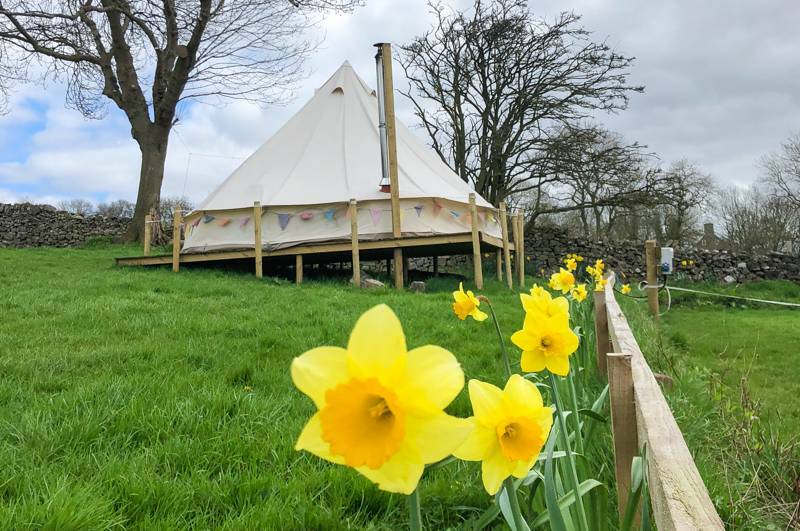 Springtime campers are joined by lambs in the surrounding field and a clutch of Highland cattle graze the meadow beyond the very top of the campsite, where a trio of luxury bell tents can be found. 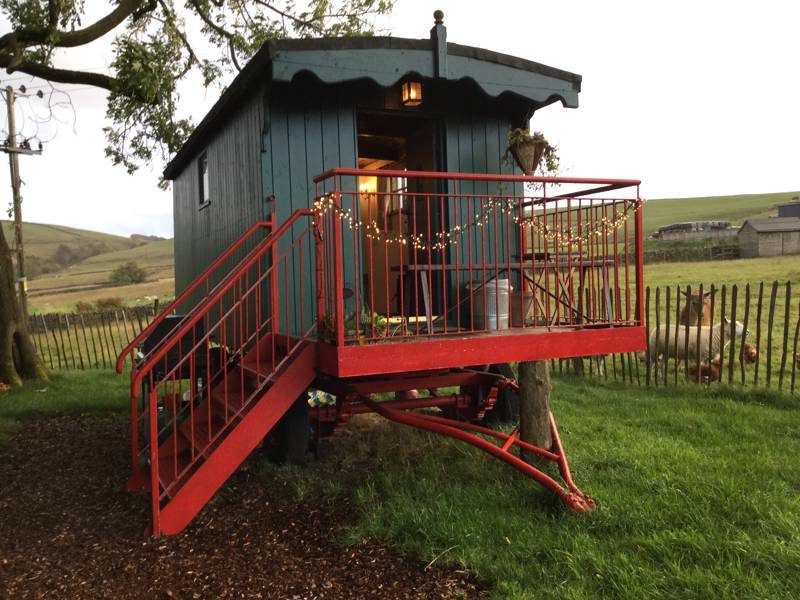 Decked out with king-sized beds, wood burners, bunting, candle chandeliers and all the kit and caboodle you need for cooking, these glamping abodes are perhaps the farm’s most notable nod to the modern campers’ needs. Such modernity is offset by a small collection of antique tractors, parked up in the long buttercup-strewn grass beside the camping meadow: An old 1940s Nuffield Universal and a grey Massey Ferguson, still occasionally used on the farm. It’s a short walk to the nearest attractions, though bring bikes and you might never need to use the car at all. It’s less than a mile to Monsal Head, where an old Midland Railway line viaduct spans the River Wye, offering beautiful views down the valley. Around nine miles of the former railway route has now been turned into an excellent, car-free cycle and walking trail, complete with well-lit railway tunnels that take you under the hills. That’s if you make it past The Packhorse, an inviting old stone inn that happily welcomes dogs, kids and muddy boots – situated, they say, in the heart of the national park. We have pitches for tents, campervans, motorhomes, and trailer tents, (sorry no caravans without prior consent due to limited access). 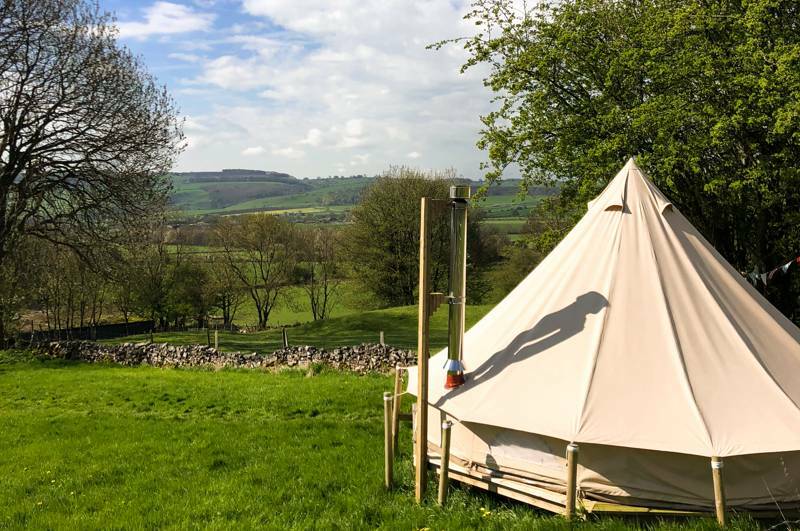 We also rent out bell tents for 2-4 people which are fully kitted out so you can camp in style whilst only having to bring minimal camping gear. Our small farm shop sells all our own meats, cakes and treats plus eggs from our friends down the road. We also have fire wood, kindling, fire lighters etc. For latest availability and best prices for Dale Farm Rural Campsite, please use the Date Search above. 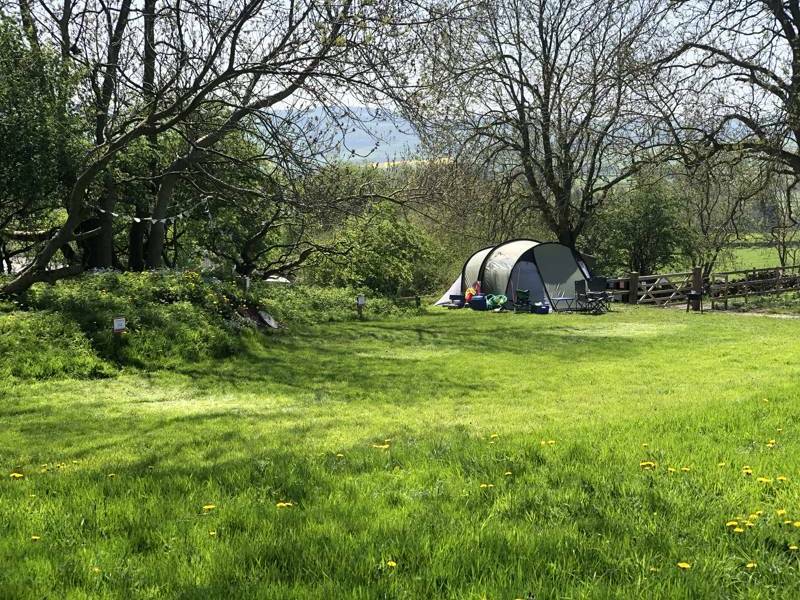 Around 20 grass pitches (a handful with electricity) and 7 hardstanding pitches (all with electricity), spread across several tiers, plus a trio of fully furnished bell tents (each sleeping up to 4 people). Tents, campervans, motorhomes, hikers, families, couples, dogs (on a lead at all times) – yes. Noisy folk after 10pm – no. Large groups by prior arrangement only. Washblock at the bottom of the site, with showers, toilets and basins, plus a dish-washing area outside. 10amp electric hook-ups on the touring pitches and the hillside camping pitches. 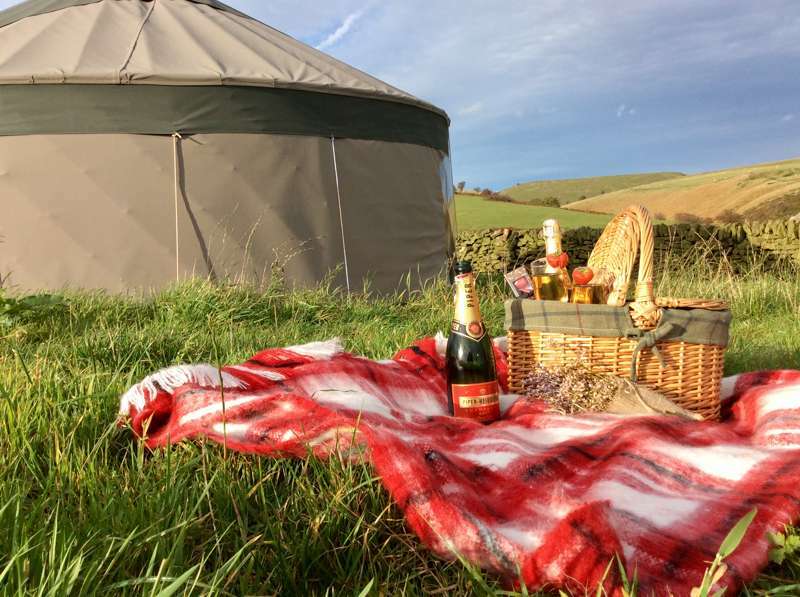 Bell tents are furnished with a king-sized bed, 2 single beds, electric bed sheet (in the comfort tent), a wood-burning stove, storage, rugs, bed-side tables and chairs, a cooking box with equipment and utensils, plus a free box of logs to get you started. Campfires are allowed on the campsite but must be in knee high firepits (wood, kindling and fire lighters are sold on site, though you can also bring your own – scavenging wood from around the farm and surrounding areas is not permitted). It's best to book the firepits and grills in advance if you want one, as there is a limited supply (these are included with the bell tents). Free basic WiFi and a faster version is available for 50-75p per day (multi-day discounts available). Small farm shop with honesty box, selling meat, cakes and treats, and eggs. It's a 5–10-minute walk into the village, where there are two good pubs (see Food & Drink), a medieval church and a playing field with a playground and tennis court. Stroll down the lane in the opposite direction and you quickly hit the Monsal Trail, a popular, car-free trail that runs along the former Midland Railway line for 8½ miles between Blackwell Mill, in Chee Dale and Coombs Road, at Bakewell. The route takes you through some of the Peak District's most spectacular limestone dales – bring bikes to make the most of it – with a handful of dramatic tunnels along the way (lighting throughout). Headstone Tunnel and a beautiful bridge across the River Wye are just a mile from the campsite and make up one of the most spectacular bits of the route. The Derbyshire Dales National Nature Reserve is also just up the valley, while 3 miles downstream is the village of Bakewell, famous for its tasty tarts but also a hive of independent shops and outlets that are worth nosing around. It's 5 miles to Chatsworth House (024 6565 300), which took almost 200 years to build and is well known from such films as Pride and Prejudice and The Duchess, and the same distance to medieval Haddon Hall (01629 812855) via Bakewell. 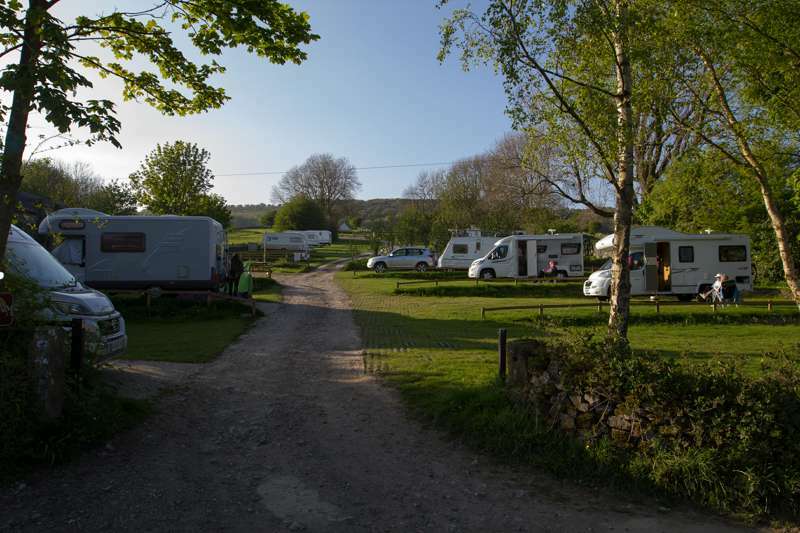 The campsite has a small shop that sells the farm's own meats, eggs, cakes and treats, while the village is also host to a local shop and 3 great pubs, The Crispin Inn (01629 640237; bar full of trinkets and well-kept ales and a good beer garden) and The White Lion (01629 640252; a more modern feel), both just a 5–10-minute walk down Moor Road. In the opposite direction, The Packhorse Inn (01629 640471; ales on tap from Bakewell's Thornbridge Brewery and a cracking location) in Little Longstone can be reached via a combination of footpath and a short distance on road. If you're going to the Monsal Trail and the Monsal Head bridge, there's a popular bar in The Monsal Head Hotel (01629 640250;) and also a café – Hobbs Café (01629 640346) – both about 1 mile from the campsite by the Monsal Head car park. Head east out of Great Longstone village, turning into Moor Road as Main Street becomes Butts Road. Continue for about 400m until you reach a lane on the left with signs for Dale Farm. Follow this lane for 100 metres until you find the campsite entrance on your right. (Please note that using the postcode with sat nav will often leave you a little short on Moor Road. Continue until you see the sign).